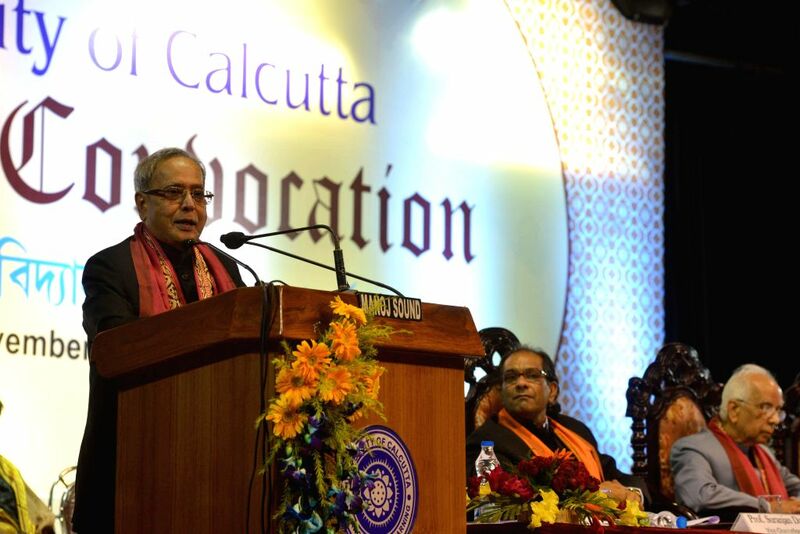 Kolkata: President Pranab Mukherjee addresses at the Annual Convocation of University of Calcutta in Kolkata on Nov 28, 2014. 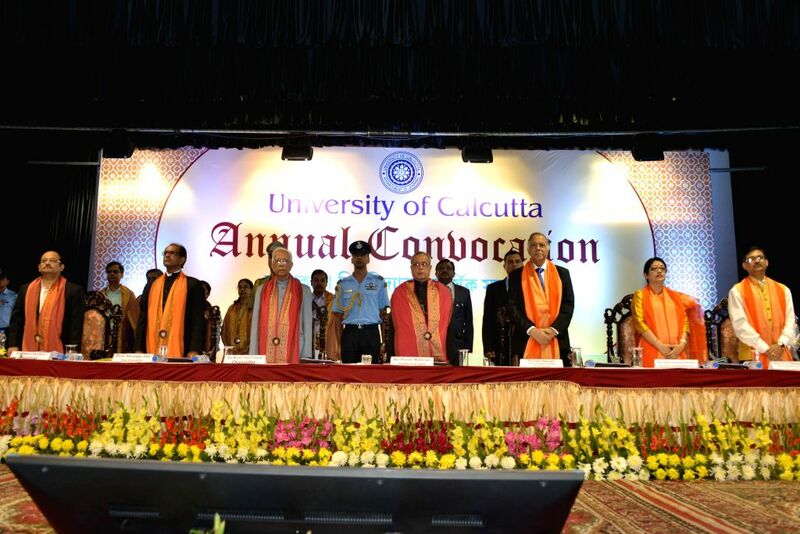 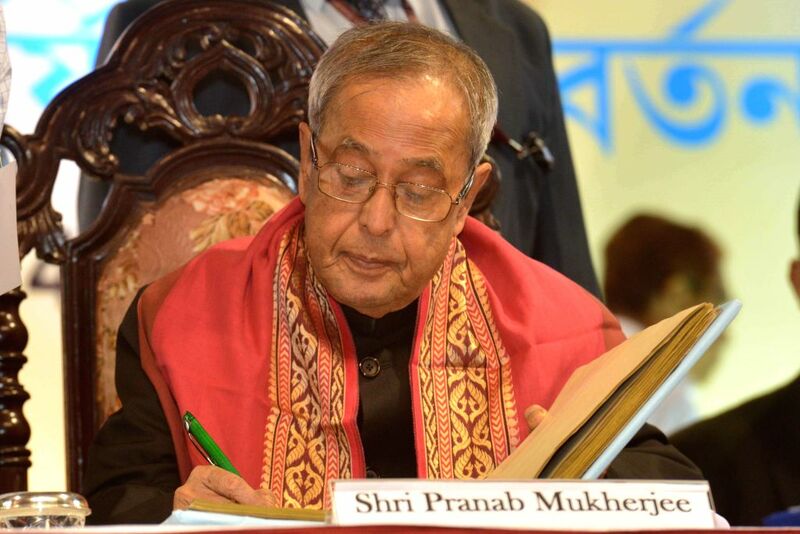 President Pranab Mukherjee at the Annual Convocation of University of Calcutta in Kolkata on Nov 28, 2014. 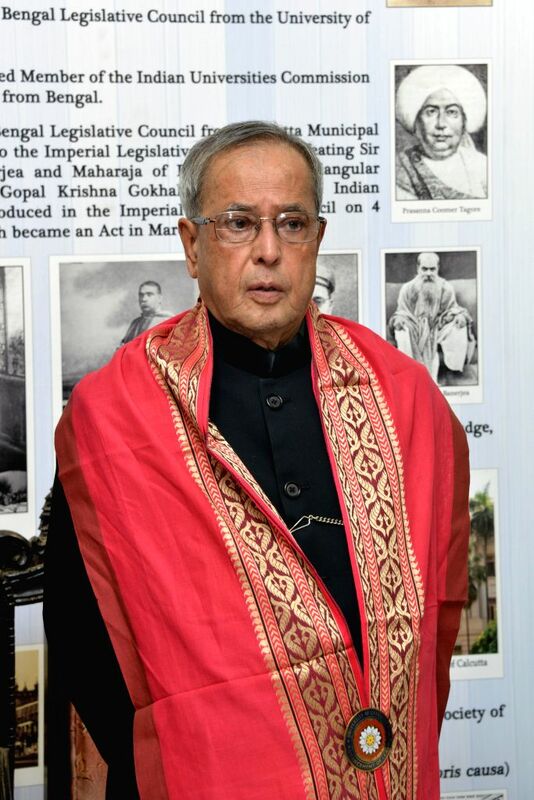 Also seen West Bengal Governor Keshari Nath Tripathi.